Forums Censure filters uncensored posts before showing them to end-users. If you want to keep your forum clean, then this plugin is just for you. 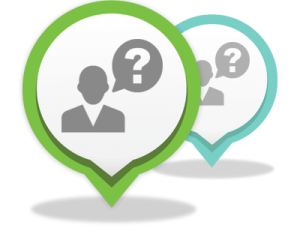 Forums Censure is very flexible and has many settings, which allows you to manage censoring process as you want, disallow or replacing uncensored words with pre-defined words. 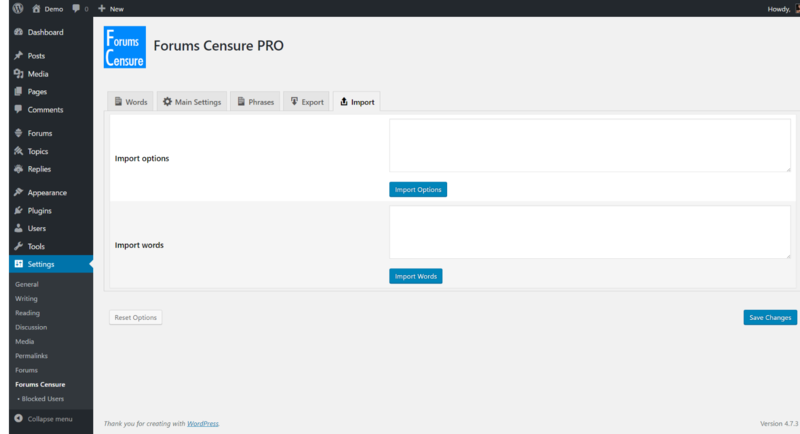 The plugin also allows to replace uncensored words with image, specific image for each word or global replacement image for all uncensored words. 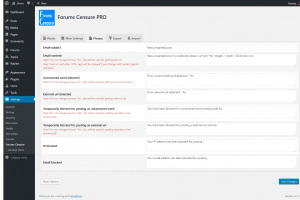 All you must do, is installing plugin and forget about uncensored forum posts forever, the plugin will take care about your forum. 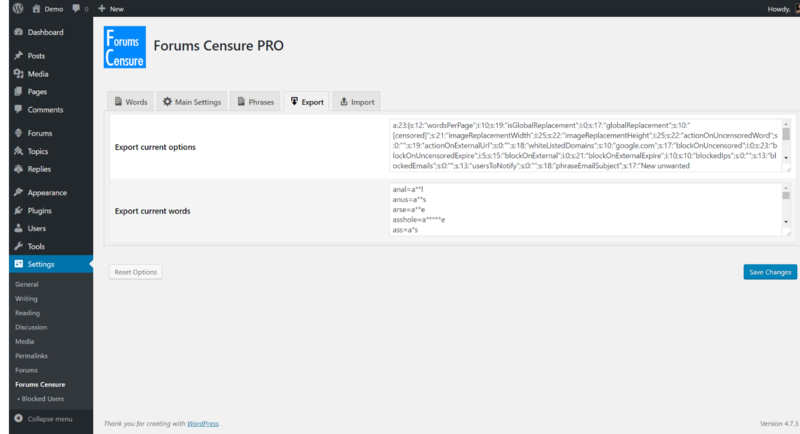 If user posting a uncensored post or post contains external url Forums Censure can block that user for X days (which you can set in plugin settings page). The plugin has a page for displaying current blocked users with detailed info (user IP, user EMAIL, blocking reason, blocking start and end time) with control buttons. 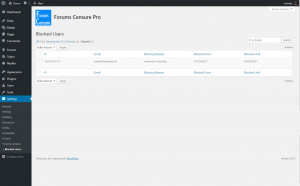 Forums Censure PRO : the easiest way to keep your forum clean. How long do you estimate before we can expect wpforo integration? 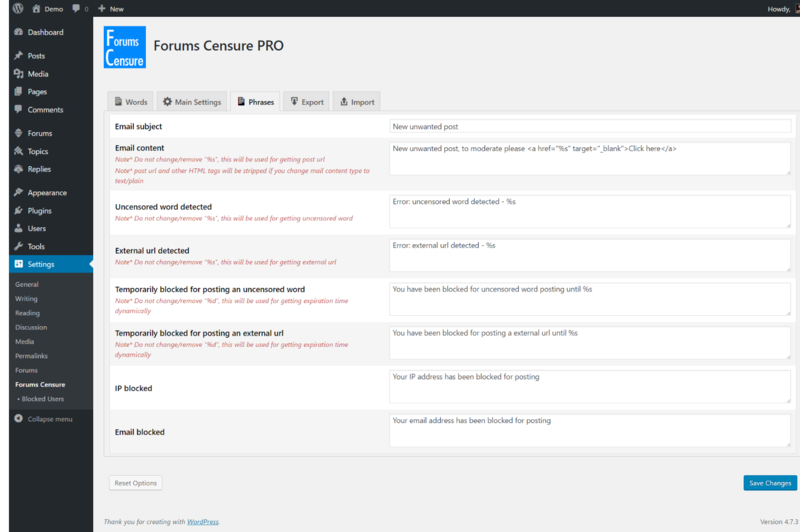 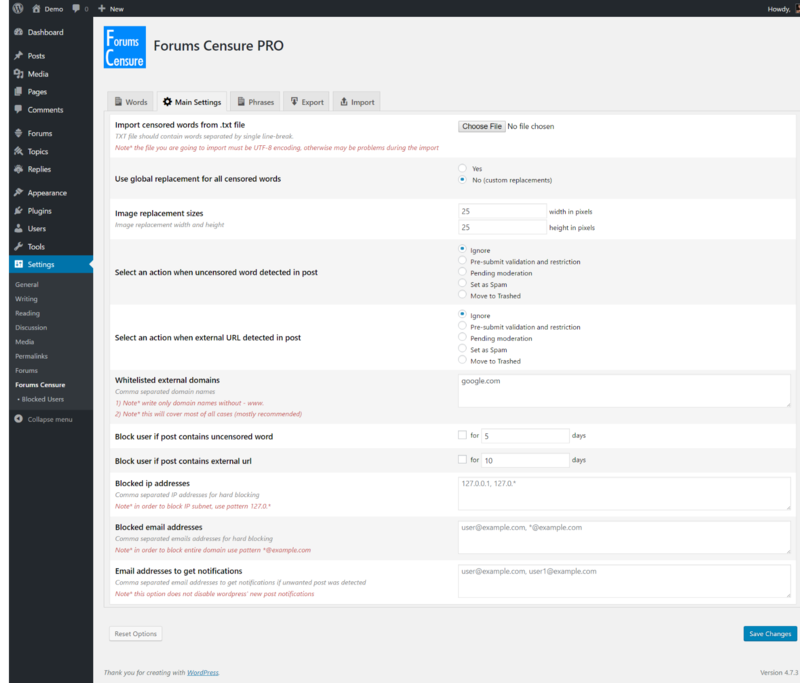 We just released Forums Censure PRO 1.0.2 version, it’s already integrated with wpForo. Does this and other plugins work with wpforo forum? 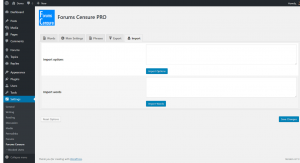 We’re planning to add it in next release.